Well, this is some good ol’ stuff, dude… I do not know about you, but I couldn’t remember this band anymore. 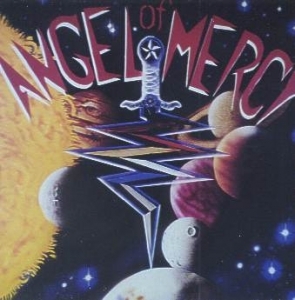 Angel Of Mercy were a band active during the eighties and early nineties. They hailed from Las Vegas, and I think they were popular in their regional environments, but not exactly outside the Nevada desert borders. In Autumn 1987 they self-released their sole official album on vinyl (compact discs did not exist yet back then, and digitalization was like science-fiction), called The Avatar, which can now be seen as a hard-to-get (and expensive!) collector’s item. I do not own a copy, unfortunately, otherwise I would be rich… This privately printed LP was meant to be a sales pitch to some local record labels, rather than being a selling point to an audience that did not exactly exist back then. But no one did react, and the band faded away, despite about eight years of work on this recording. Enter 2018, welcome Shadow Kingdom, a cool (and true!) Heavy Metal label from Ohio. The label decided to re-release this classic (what’s in a word) with some rare and previously unreleased bonus material, and I think this was (and is) a great idea. It gets released in a two-disc edition with the very same cover artwork as back then. Heavy Metal maniacs must search for the original album – that’s a certainty – but this compilation has a lot more to offer. I totally adore the bonus material. First come four songs from a recording session the band did at the end of 1983 in their home city. You can clearly hear that the eventual sound of the band was already structured in the early years. The production is rawer, evidently, than on the album, but is strengthens the confident image of this band. A second addition is a recording session from 1992, the so-called Abandoned Recording Session. After an intro (which had not been used before), three re-recorded songs from the band’s album sort of experience a new breath. Nice. The Journey Begins is a (short) piece that was intended to be an introduction to Chained To A World, but it never made it to The Avatar. It’s not a real ‘Heavy Metal track’ in its purest sense, but it would have been a great lead-in. and finally, this compilation contains a new recording of Chained To A World, created in 2015. Okay, it comes with a very professional sound quality, but you have to decide for yourself whether you prefer this cleaned-up, contemporary edition or the original version.